Starbucks stores in Kyoto (Japan) provide a seasonal coffee menu in spring, which takes advantage of Japanese people’s endless love of cherry blossoms, aka, Sakura. This year, Starbucks is serving a Sakura Chocolate Latte with Strawberry topping (or soy latte version), Sakura Chocolate Frappuccino (or soy milk version), Sakura tube cake (called chiffon cake here) and Sakura themed tumblers and mugs. 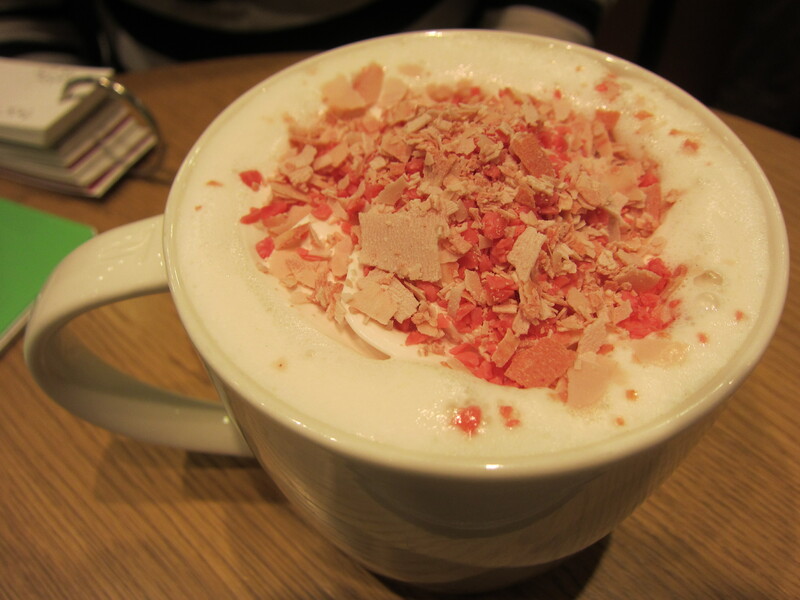 For those who are here now or coming to Japan soon, it can be nice to try a Sakura latte as a unique Japanese experience while having a nice cozy time at Starbucks. If this sounds good, run to the nearest Starbucks store, AS SOON AS POSSIBLE!! They sell out very quickly. Last year, they sold out all of their Sakura flavored beverages way before the cherry blossoms actually started (usually first week of April)…they were completely gone by the middle of March. In fact, some of the Sakura themed tumblers and glasses have already sold out this year. To find the nearest Starbucks, check Starbucks Map in Kyoto City. For more fun and useful information to make your trip memorable, meaningful and stress-free, check our Kyoto e-Guidebook, which is currently available at Amazon stores. 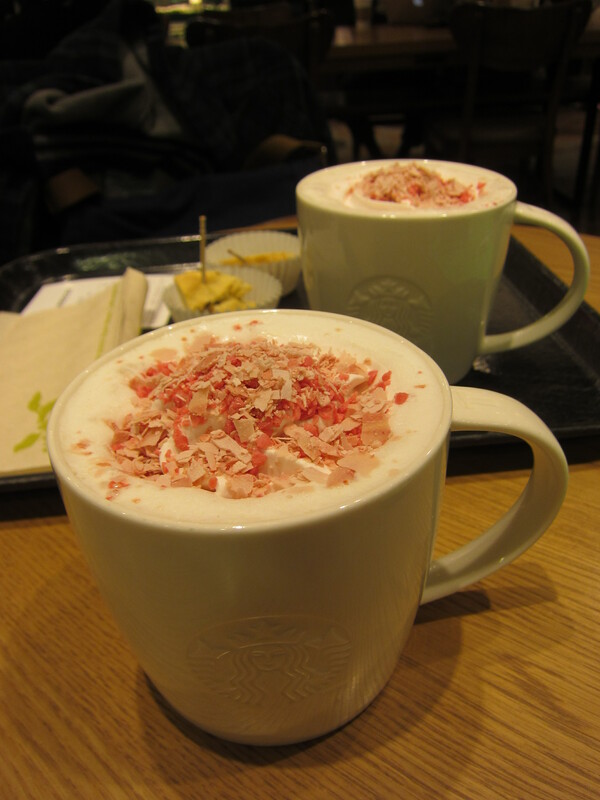 I wish I was in Japan to be able to buy the Starbucks Sakura tumblers and glasses. There was one glass I heard about where the cherry blossom decorations turned pink when cold water was added. I would’ve loved that one. It seems that the glass you were talking about was already sold out this year!